We don't know about you, but this uncharacteristically rainy Los Angeles winter has had us counting down the days to spring all season long (T-minus seven days, in case you were wondering). With just one more week of winter to endure, we're not so patiently awaiting the return of sunny forecasts and lush greenery. But we got to thinking, why wait until spring has officially sprung to enjoy the splendors of the season when we can bring the outside in right now? Inspired to fill our spaces with greenery in spite of the weather, we tapped Greg Salmeri, co-founder of the insanely Instagram-worthy Los Angeles–based Rolling Greens Nursery, to learn about how to select (and care for) low-maintenance terrarium plants before heading to our local nursery. 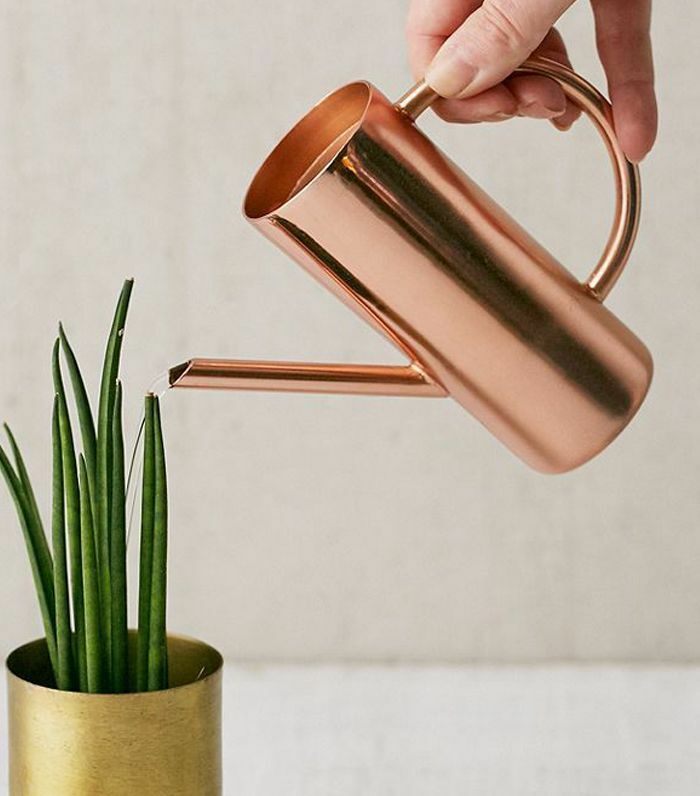 Ahead, a green thumb weighs in on the moisture-loving plants that thrive in enclosed spaces, including a genius watering hack that's (almost) foolproof. When choosing plants for terrariums, "as with all plants and containers, you want to think about how big the container is, where it's going (indoors/outdoors), and how much light the containers and plants are getting," advises Salmeri. 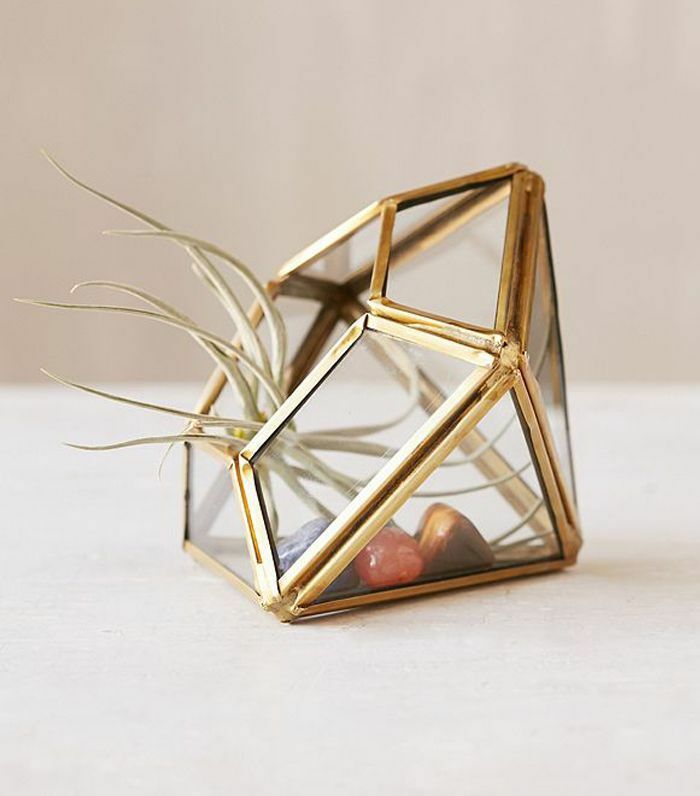 "Specifically for a terrarium, you also want to figure out if you want a container that is fully enclosed or if there is any type of opening on the top or side," he adds. For enclosed terrariums, "you will want to choose moisture-loving plants, such as ferns," recommends Salmeri. "A few ferns that do well in this environment include Australian sword, asparagus fern, Boston fern, and maidenhair," he suggests. "These plants love moisture but need to be in an area with low indirect light, no bright light," Salmari adds. "These plants provide a lot of greenery for that forest-like atmosphere." Enclosed terrariums can be intimidating for beginner gardeners, but they're actually quite easy to care for, assures Salmeri. When it comes to watering, "ferns can be misted once a week," he advises. "Since there's no drainage in an enclosed terrarium, you will need to be careful not to overwater," he says. "A good way to check whether or not your plants need to be watered is to simply look at the soil," Salmeri advises. "If it looks dark (damp), then there is no need to mist that day. If it looks light (dry), then you should mist," he offers. "Also, for any enclosed terrariums, you will need to take the top off every few weeks so the plants get some fresh air," he adds. According to Salmeri, almost any type of plant can thrive in an open terrarium. 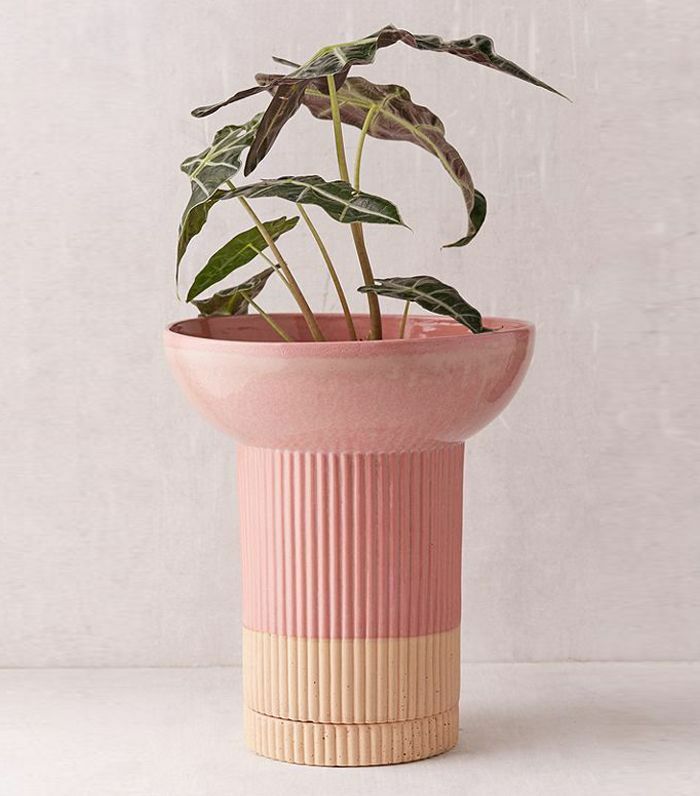 "If you're using more than one plant, be mindful of the watering and light considerations for each so that all your plants need the same amount of watering and sunlight," he advises. "Succulents always do well in open terrariums, but they will need bright light indoors and in some shade outdoors," he explains. "If you like any succulents that trail out of the container, String of Pearls and Donkey Tail work really well as trailing plants," says Salmeri. "A variety of echeveria can provide color and a nice floral-like bloom." "Your open terrarium most likely will not have drainage holes, so you will need to be careful to not over water your succulents," says Salmeri. "They only need to be watered once every two weeks during the summer, and once every 10 days during the winter," he advises. "Succulents like to be watered at their roots (please don't pour water over the plant itself! )," he adds. "It is best to water via a turkey baster or a watering can with a narrow spout to provide water at the plant's base," Salmeri says. 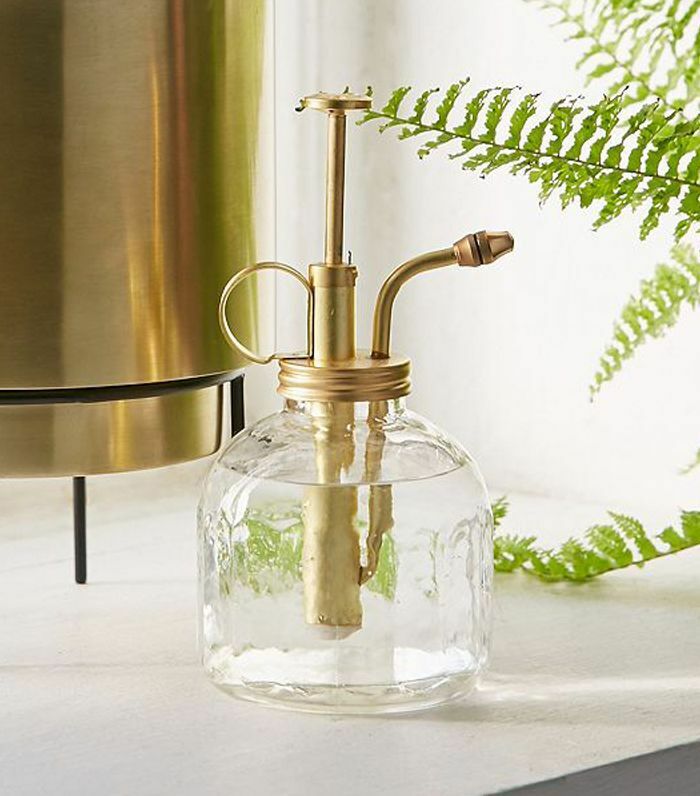 "For smaller containers and plants, we suggest using a turkey baster to provide about one to two tablespoons' worth of water for each plant." If you're planting a succulent terrarium, "think about utilizing cacti, as they are complementary in both watering and lighting considerations," offers Salmeri. 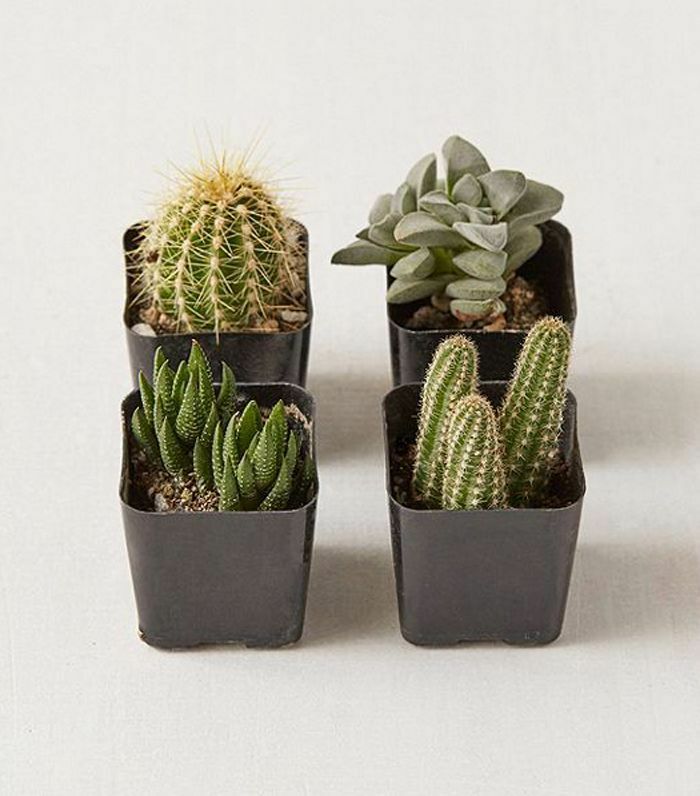 "Cacti will need less water, once a month or so, so these hardy plants can happily coexist with succulents," he adds. Up next, these are the best indoor plants to clear the air, literally. 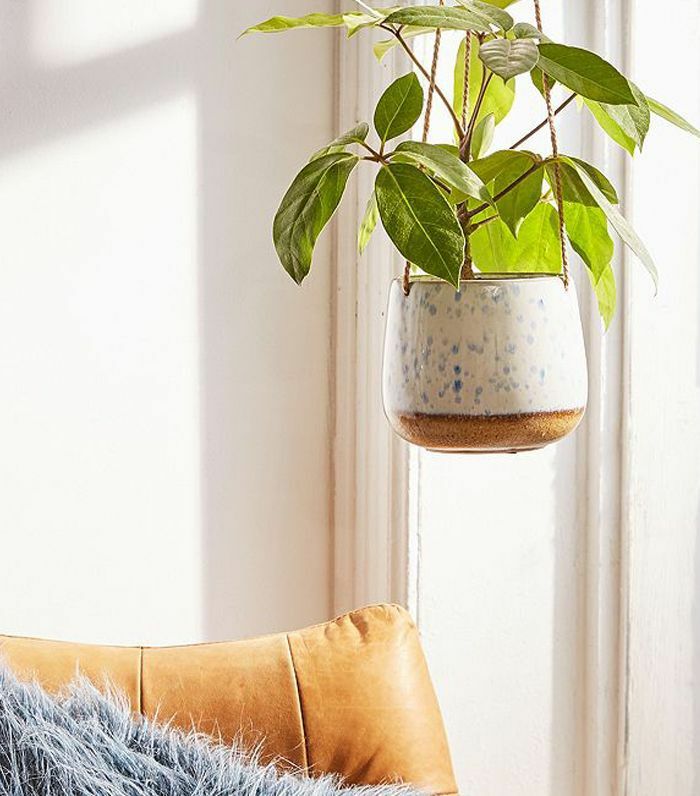 These Online Plant Delivery Services Will Transform Your Space Into a "Jungalow"